For more on this point, see Fremstad, Shawn. 2010. “A Modern Framework for Measuring Poverty and Basic Economic Security.” Washington, DC: Center for Economic and Policy Research. See Table 5. 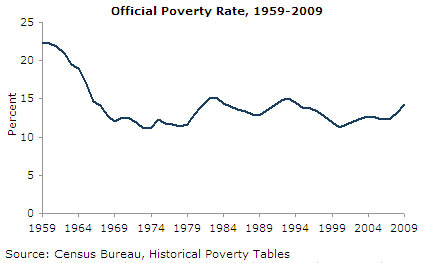 Percent of People by Ratio of Income to Poverty Level, Census Bureau, Historical Poverty Tables—People.